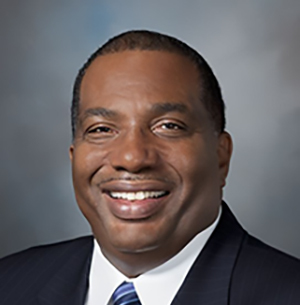 Royce West is the Texas State Senator for District 23, first elected in 1993. He is serving as the vice chair of the Higher Education Committee. He also sits on the Administration, Education and Finance committee. He previously served as chairman of the Jurisprudence Committee and served on the Health & Human Services committees. He also served on the Education Committee of the Southern Legislative Conference and the standing committee on Communications, Financial Services and Interstate Commerce of the National Conference of State Legislature. He was appointed by former Gov. Rick Perry to the Education Commission of the States and has served as President Pro Tempore of the Texas Senate. In 1997, West was appointed Chairman of the Senate Interim Committee on Gangs and Juvenile Justice by the late Lt. Gov. Bob Bullock. West cites as his legislative accomplishments his efforts to establish in statute the University of North Texas at Dallas and operationally, the University of North Texas-Dallas Campus; creating the Texas Juvenile Crime Prevention Center at Prairie View A&M University, enhancing funding for at-risk youth programs and creating a zero-tolerance law for minors who drink and drive. He has successfully fought for stiffer penalties for adults who sell or provide alcohol to minors and for greater compensation to victims of violent crime. West was named by Texas Monthly as one of the 25 Most Powerful People in Texas politics, was named to the publications "Ten Best Legislators in Texas" twice with one "Honorable Mention". The Associated Press named West one of the "key players of the 2005 Legislature" on its "Movers and Shakers" list. West is a Dallas-based attorney. He is a father and husband to Carol R. West, CPA, as well as an active deacon of Good Street Baptist Church. Senator John Whitmire represents the 15th Senatorial District comprised of north Houston and parts of Harris County. He was elected to the Texas Senate in 1982 after serving 10 years in the Texas House of Representatives. With over 30 years of service in the Texas Senate, Senator Whitmire ranks first in seniority and is the "Dean of the Texas Senate." Senator Whitmire serves as Chair of the Senate Criminal Justice Committee and works to bring about needed changes to the adult and juvenile criminal justice systems. He is also a member of the Senate Administration Committee and the Senate Business and Commerce Committee. In addition, he serves as a member of the Senate Finance Committee where he is committed to finding appropriate solutions for funding the state's many agencies and programs. Senator Whitmire chairs the School Discipline Consensus Project, a nonpartisan effort led by the Council of State Governments Justice Center, which brings together leaders from across the United States to develop strategies to minimize the over-use of suspension and expulsion in public schools, improve students' academic outcomes, reduce the referral to the juvenile justice system, and promote safe and productive learning environments. 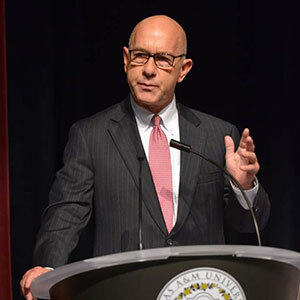 In addition to his leadership in criminal justice and public safety, Senator Whitmire is a passionate advocate for quality public education, affordable higher education, minority and women's rights, and access to quality affordable health care and mental health services, and sound business and economic development. Originally from Hillsboro, Texas, Senator Whitmire moved to Houston where he graduated from Waltrip High School. 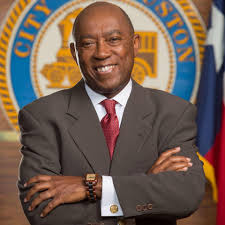 He earned a Bachelor of Arts degree from the University of Houston and attended the Bates College of Law. 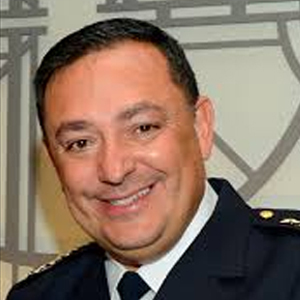 He was admitted to the Texas State Bar in 1981 and is attorney of counsel to the law firm Locke Lord LLP. Senator Whitmire has two daughters, Whitney and Sarah Whitmire.